5.5.09 011, originally uploaded by wonderland.5. I have been working the log cabin strips lately...it is too much fun. 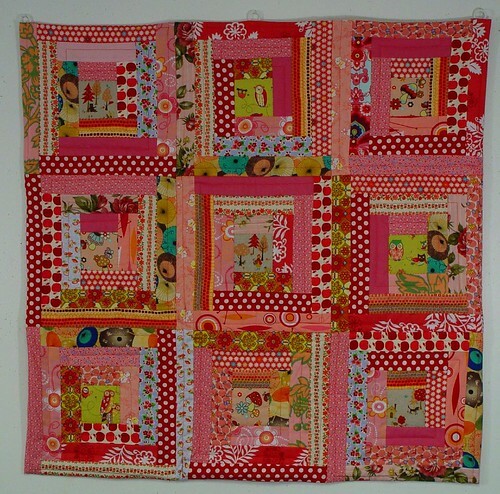 This is Anna's quilt; it is 36" x 36" and hangs next to her crib. On non napping days, I can hear her chattering away to herself in there and when I peek in she is standing up in bed looking at all the fabrics. That's a girl after my own heart, really. Detail on my flickr photostream.